July 1st was a very special day for Windsor, Ontario. Not only was it Canada Day, but it was also the day of the Canada Day parade. The parade started from Ouellette Ave and Giles Blvd W then continued onto Pillette Rd. 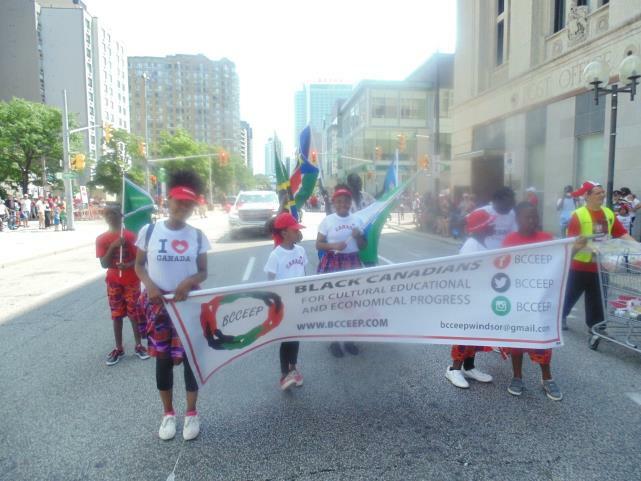 The day was very hot, but nonetheless everyone was excited to be apart of the parade.BCCEEP (Black Canadians for Cultural, Educational and Economic Progress) marched in the parade with a colourful float to represent both African and Canadian colours. 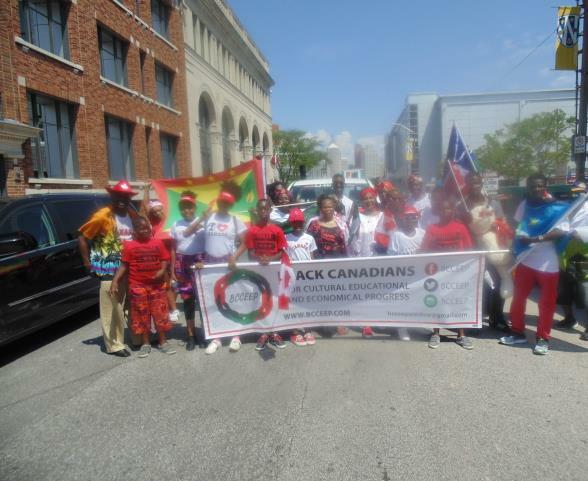 The aim was to represent both halves of Black Canadians and encourage others to be proud.The float had African music playing and many participants waving flags from countries of Africa, of course Canada as well. 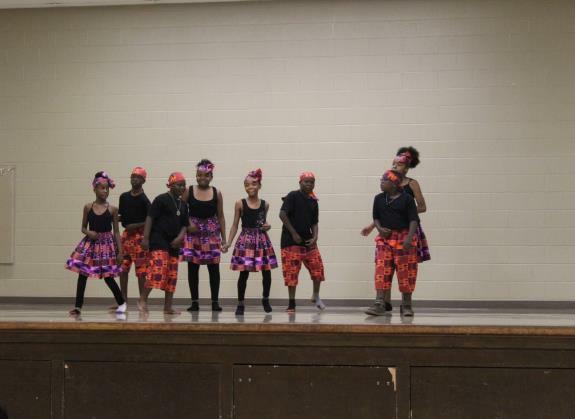 The African Children’s Dance group joined BCCEEP in waving flags, holding the organizations banner and dancing in front of the float.The day was filled with lots of laughter and infectious smiles! To all who watched, we are reminded that we are all Canadian no matter what. Canada is a place for us all to be ourselves and be part of a huge multi-cultural community. 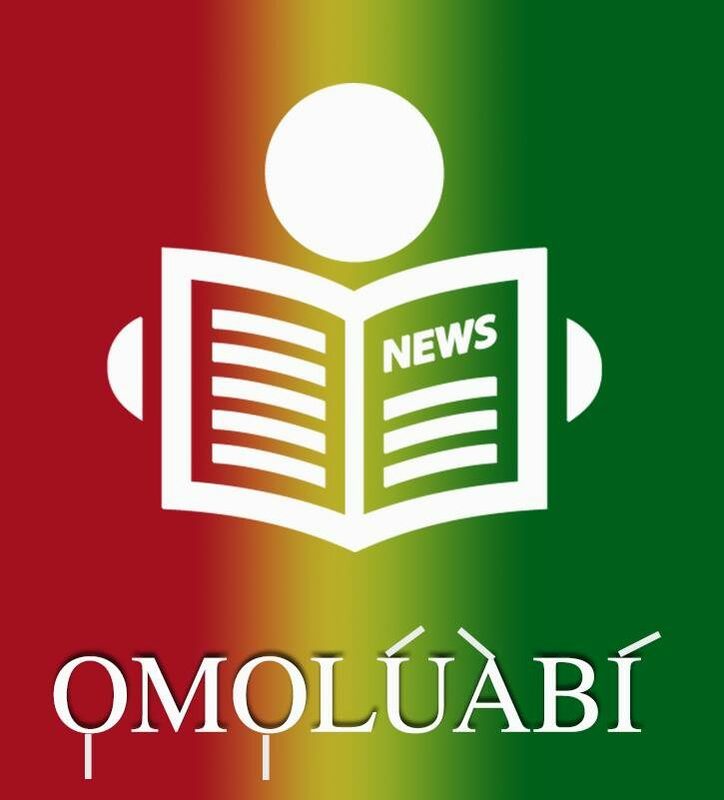 Nevertheless, it is also important for all who migrated here to remember that their cultural backgrounds are just as important as Canadian culture. Balance and harmony exists when cultures are brought together and acknowledged.Overall, the day was a great success! All the members, volunteers and participants had fun and walked onward with BCCEEP. BCCEEP would like to thank all those who came out and as well as those who marched with BCCEEP in the parade. This parade was a beautiful representation of what we can all do when we come together. 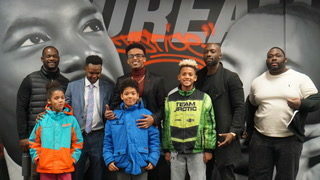 BCCEEP hopes to continue to grow their family and encourage community progress.